It seems the crew at Mozilla has done it again! When Mozilla released Firefox 2.0.0.8, they inadvertently rolled back some vital security fixes and where forced to release Firefox 2.0.0.9 very quickly. With the recent release of Firefox 2.0.0.10, a bug was introduced into the <canvas> feature that caused an incompatibility issue with some websites and extensions. 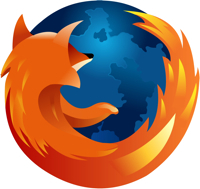 Within four days of the release of 2.0.0.10, Mozilla has released Firefox 2.0.0.11. I personally haven't run into the <canvas> bug yet, but I'm still restarting Firefox to install the update. See you on the other side! By the way, don't take my tongue in cheek tone to mean much. I am a huge fan of Firefox and the folks at Mozilla. That being said, I'm certainly not going to waste an opportunity to poke a little fun when I can.